DID YOU KNOW THAT ORAL HEALTH IS A MAJOR FACTOR OF GOOD GENERAL HEALTH? 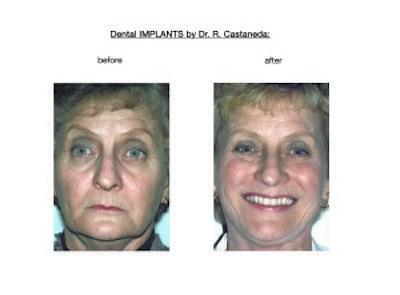 Replacing your missing teeth with dental implants and implant retained teeth may allow you to live your life more fully. When your treatment is complete you should be able to chew and speak and socialize without experiencing the negative emotions that having missing teeth or hard to wear dentures can sometimes cause. Milling a bar in zirconia offers a variety of advantages compared to its counterparts made in metal. A passive fit of the bar is essential,which will be verified at a try-in appointment, or “Frame Stage”. Adjustments to the fit of the bar can be made chairside with light-cured composite material thus eliminating the inacurracies of soldering. With a thorough milling procedure and controlled sintering process the bar is made to fit accurately at the implant level. The bar can be milled parallel or with a 2 degree taper, providing for a “Friction Fit” of the super-and sub-strucure. Metal housings for the screws are drilled into the zirconia before the sintering process. Set screws are utilized to lock the AP Bridge in its final position. The set screws are positioned for ease of retrievability. The super-structure is made to near-full contour,then the porcelain layer, approximately 1mm thick, is pressed onto the zirconia. Call today to schedule your Dental Evaluation with Dr. Rebecca Castaneda.